One of the most important things to consider when making the decision of where to get your tattoo removed is technology combining with experience. During the last decade, advancements in laser technology have improved substantially, and keeping up with this technology is the foundation of laser tattoo removal. Besides all the awards, besides all the years of experience, one of the main things that have made Atlantic Laser Tattoo Removal the go-to place in Virginia is our dedication to investing in the best lasers. We are one of the only local providers that has multiple lasers, including both the Picosure (Pico), and the Naturalase QS (Nano) technologies. Having both laser options is extremely important due to the advantages they have when they are combined in your treatment plan. Another advantage is the ability to treat people successfully with tan, brown, or dark skin types. The Short Pulses of energy use a “shockwave” of energy instead of heat like traditional laser treatments. This delivery method tends to be less painful during appointments and typically has less downtime associated with the treatment. When a tattoo is applied, the ink is delivered into the skin with tattoo needles and this ink typically resides in a broad area underneath the skin’s surface. Typically, the ink will end up in an area between the dermis and epidermis, and not all ink particles are the same size. The Picosecond Lasers tend to be the best at breaking down the ink of a tattoo faster. Faster results typically mean it will take fewer treatments to remove the tattoo. Picosure technology is a new, advanced, and it is quite expensive. Most offices charge an extra premium to use the Pico Lasers. At Atlantic Tattoo Removal we do not charge anything additional, regardless of if we use the Picosure laser. We want the same thing all our client’s want-great results! Most Picosecond Lasers use a very small spot size to be effective. These smaller spot sizes tend to lead to longer treatments which take additional time. Most providers of laser tattoo removal are charging either for the size of the tattoo treated or the time it takes-which also leads to higher costs compared to a laser with a larger spot size. Again, Atlantic Laser Tattoo Removal does not charge anything extra at our office for the use of either technology. Nano Technology lasers deliver energy in a billionth of a second! Nano technology has been the gold standard for the last ten years in laser tattoo removal. Nano technology has been around longer than Pico Technology so there has been time to have natural progression of efficacy, and advancements in its delivery method such as spot size and power. Here is a short list of advantages and disadvantages. Nanosecond Lasers are the gold standard and have been proven and FDA approved for their results. Nanosecond Lasers work extremely well with dark tattoos and is the most effective laser for treating tattoos in the beginning stages of the removal process when the ink particles are larger. 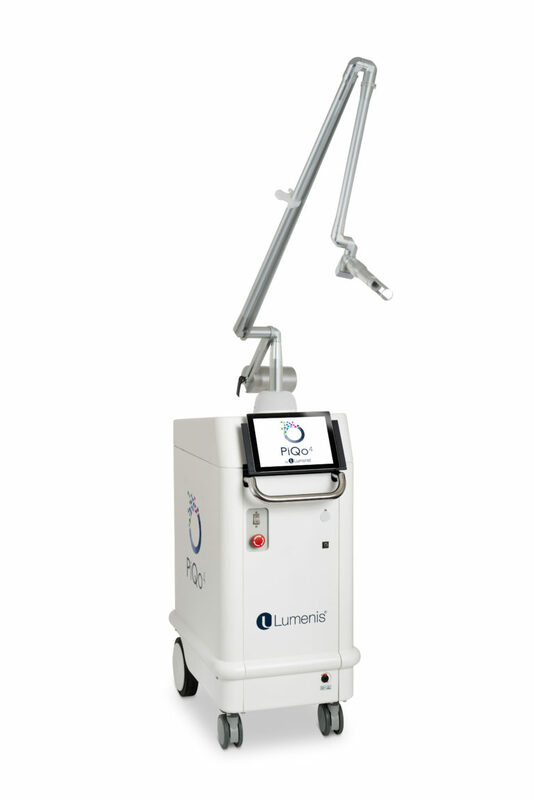 With the time to advance over the years, the best Nanosecond Lasers have increased in power which has lead to in the ability to increase the spot size. A larger spot size leads to two things: 1-faster treatments due to the need to have fewer pulses to cover the area of a tattoo. 2-better results due to the ability to treat deeper into the tattoo’s ink. With the unique advantage of having both types of technology, both Nano and Pico lasers, Atlantic Laser Tattoo Removal has a ton of experience and have found that the Nanosecond lasers are still the best laser in the beginning stages of laser tattoo removal. Nano technology uses “A photoacoustic effect” and this is very effective in breaking down large particles of ink. Although Nanosecond Lasers are a great option for darker tattoos, this laser tends to be slightly more painful during the office visit. Most associated discomfort is only during the treatment process and is over once the treatment is over. Most tattoos take only a minute of treatment time and we do offer a numbing cream if needed or deemed necessary. 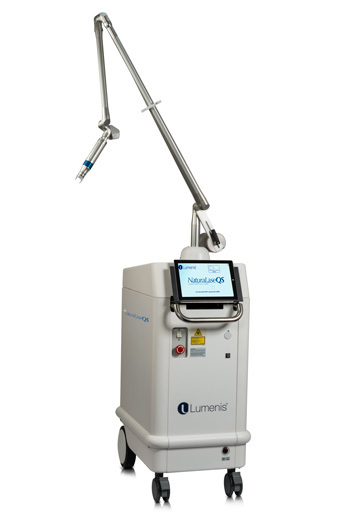 Nanosecond lasers tend to have more post-treatment downtime compared to Picosure or Picosecond lasers. Although both lasers have a chance to have swelling and slight blistering, the chances are just a bit more common with the Nanosecond Lasers. All post-treatment downtime is regardless of which laser tend to be superficial, and in most cases, clear within a few days. I hope this information helps you better understand the process of laser tattoo removal and the difference between your treatment options. Atlantic Laser Tattoo Removal offers free consultations where we can go over a personal treatment plan with you and answer any questions you may have. To book a consultation, you can give us a call at 757-340-4663 or fill out an online consultation request. We look forward to hearing from you soon!